Kristin believes that life is an adventure and enjoys exploring all that the world has to offer. As a child, Kristin’s love for all things Disney was born during her family’s first big trip to Walt Disney World. Since then, she has had the opportunity to travel to many other destinations such as Europe, Mexico, the Caribbean, and locations within the United States, just to name a few. Kristin really enjoys trips where she can explore a new place, while reconnecting with loved ones or friends. 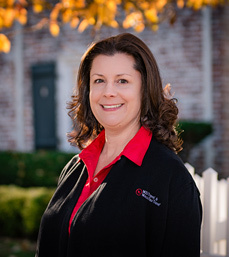 This love and passion for travel and travel planning extends to each of Kristin’s clients as they receive personal and attentive services every time. Kristin, a graduate of Disney’s College of Knowledge, has also completed training courses on the Caribbean, Mexico, Hawaii, Universal Parks and Resorts as well as the major cruise lines. Kristin believes that is it always important to expand her knowledge and training, so she routinely takes part in training opportunities which include visiting new locations as well as on-site training. As a mom of two young girls, she is very knowledgeable in the area of family vacations, whether it be multi-generational or just mom and dad needing to reconnect. For the past 20 years, Kristin has been a Detective in the NYPD. She lives in Long Island, New York, with her husband and their two daughters. When she is not busy planning vacations, she can be found on the softball field or at the swimming pool cheering on her daughters.